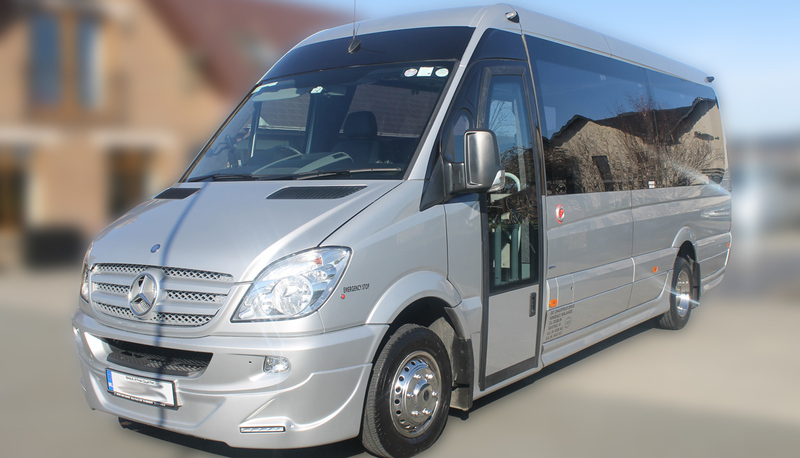 This luxury Mercedes Benz Sprinter from DC Chauffeur Drive includes tables and is available for Corporate, Exclusive and Private Hire suitable for up to 16 passengers. 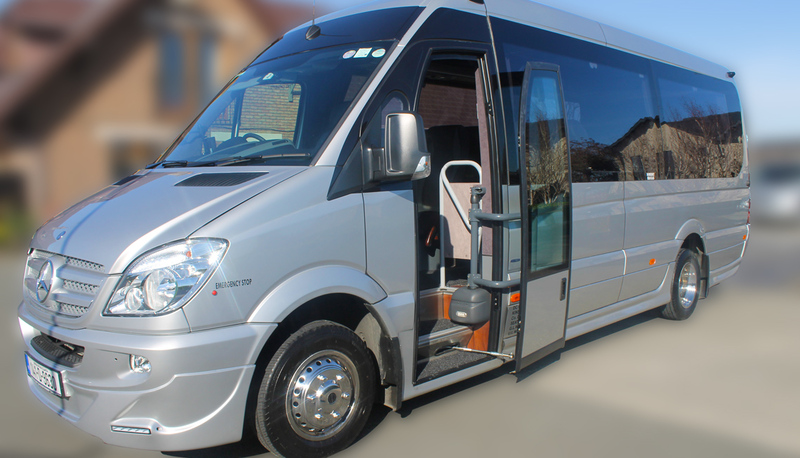 This luxury coach from DC Chauffeur Drive comes with sixteen leather seats of pure luxury for the larger group. 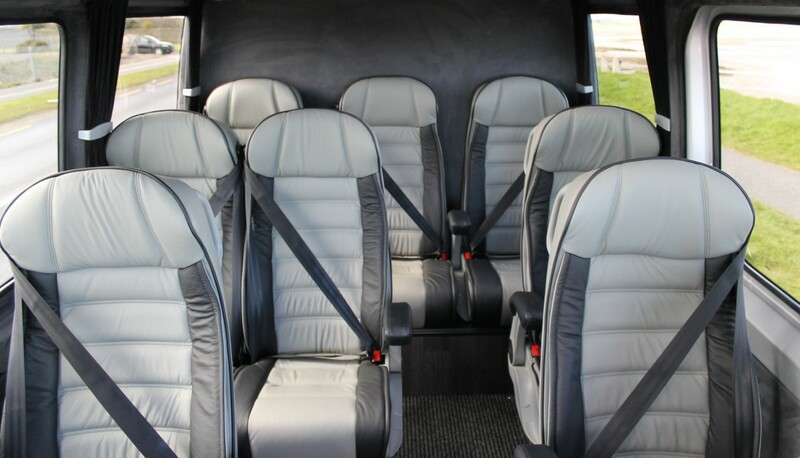 The Mercedes Benz Sprinter also include two tables suitable for meetings. The vehicle has air conditioning, a DVD player, a fridge, power door, forced air, a PA system, on-board WiFi, tinted windows, power supply sockets and complimentary water. This vehicle is ideal for up to 16 passengers with a large luggage capacity, perfect for golf trips and ideal for band transport.